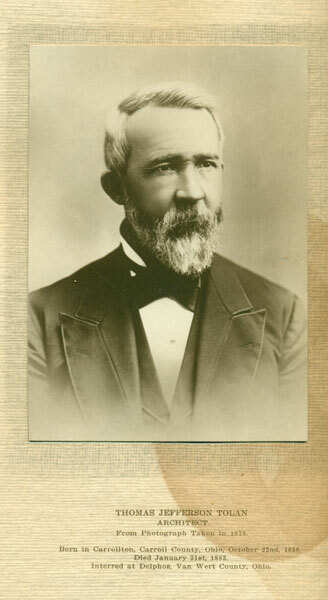 Thomas J. Tolan (1830-1883) was born in Carrollton, Ohio to James and Elizabeth Tolan. Like his father, Thomas began as a marble cutter and appears to be a self-taught architect. Exactly when he began his architectural practice is rather murky, but in 1874, he relocated his practice to nearby Fort Wayne, Indiana. 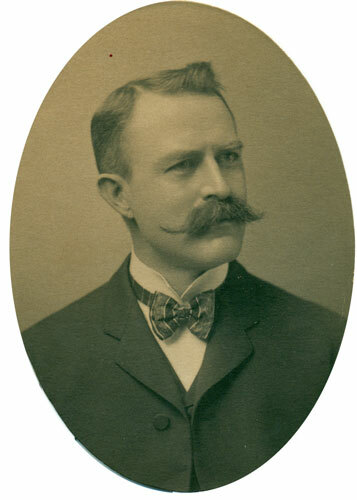 His son, Brentwood S. (1855-1923) apprenticed under his father from the age of 17. Together, T.J. Tolan & Son, Architects established themselves by specializing in designing sheriff’s residence and jails. This type of structure provided a residence for the sheriff and his family and housed the jail in a rear wing. 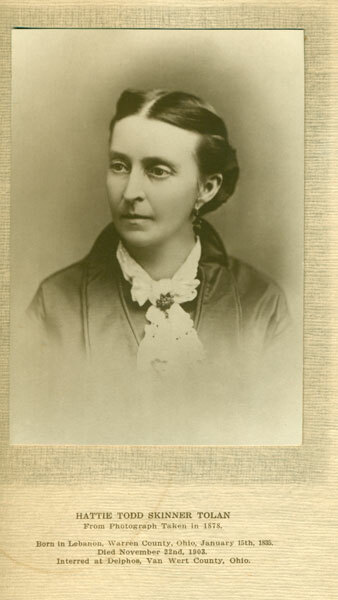 As was typical in those days, the sheriff’s wife was expected to provide meals for the prisoners. 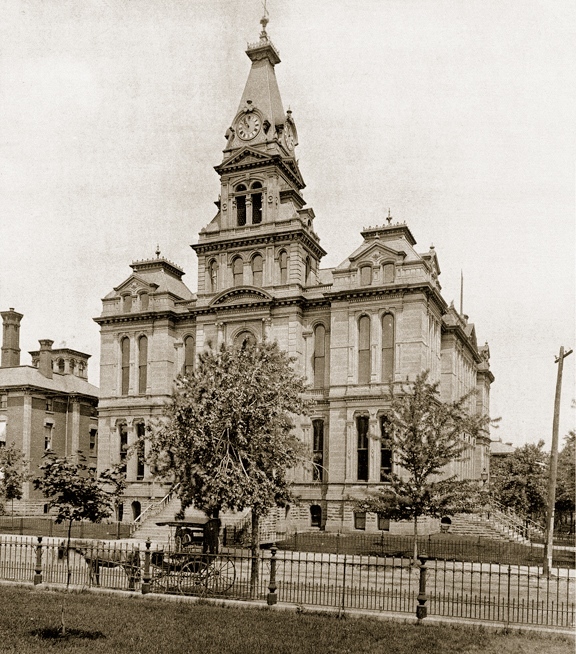 In 1874, the firm secured its first commission to design a county courthouse, when it was awarded a contract to furnish plans for the Van Wert (Ohio) County Courthouse. 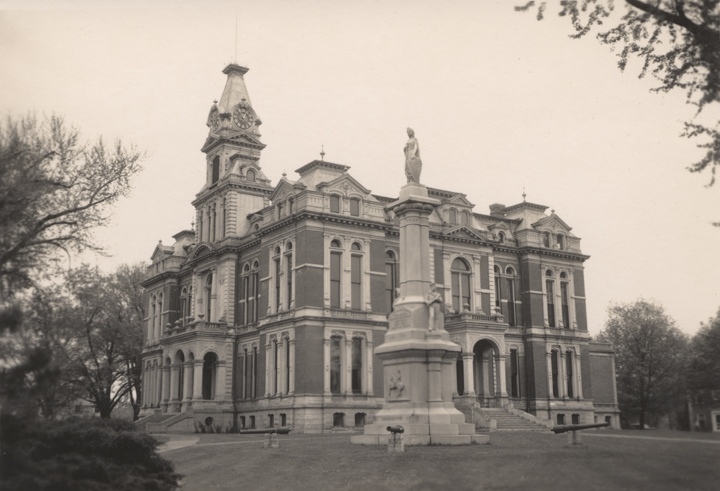 The Tolans’ second courthouse would be one for Davis County, Iowa, whose construction began in 1877. Business began to accelerate for Tolan & Son. 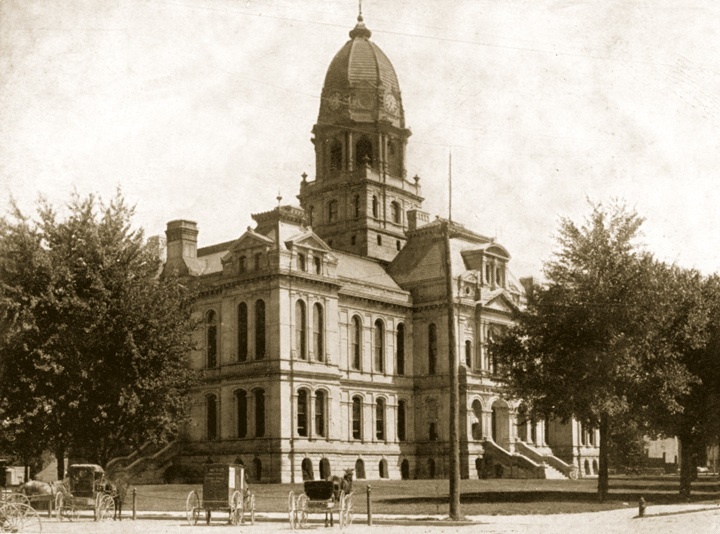 The Fort Wayne Daily Sentinel announced on February 9, 1878, that Henry County, Illinois had selected the firm to provide the plans for their new courthouse. 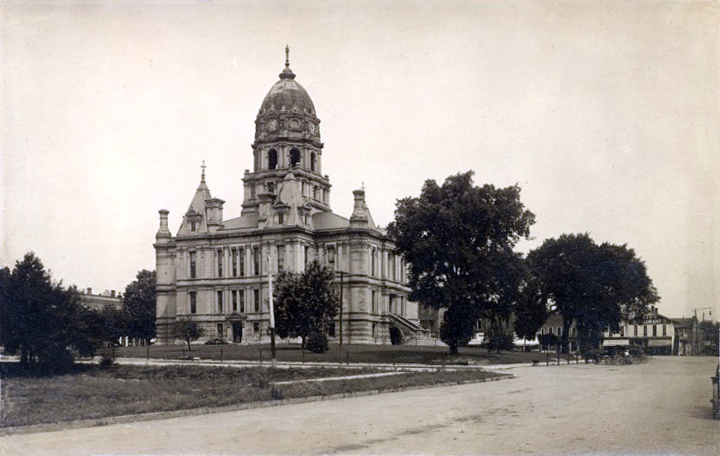 The same news article also announced that Lagrange County, Indiana had selected the Tolans to design its courthouse, after dismissing a Chicago architect who was, as the Daily Sentinel described, “so shame faced and dishonest that he had rather lose what he had already done, than to have his rascality made public by contesting it.” Brentwood spearheaded the project. 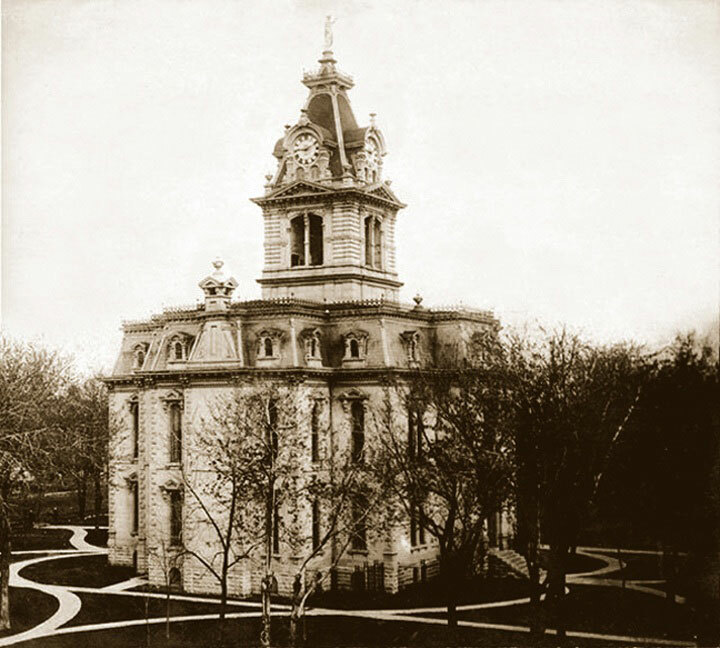 Throughout this period, Tolan & Son flourished, as they continued designing sheriff’s residence and jails, courthouses, churches, as well the Masonic temple in Fort Wayne. 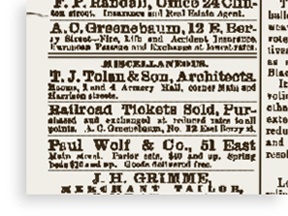 The senior Tolan was awarded a patent in June 1877, for his improved bars for jails and prisons, which probably were incorporated into the jail cells of the Davis County Courthouse. 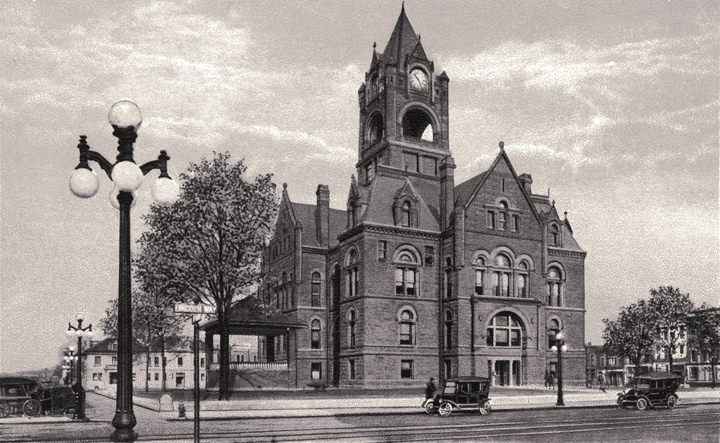 In late January 1883, while in Chicago to give testimony in a lawsuit between the County of Henry, Illinois and the contractors of the county courthouse, Thomas J. Tolan, age 52, died suddenly from gall stones. 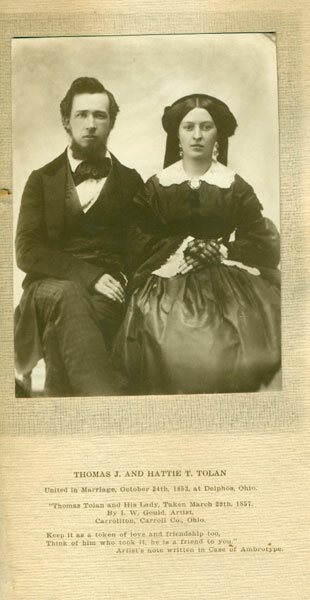 He left behind his wife Harriet and eight children. Burial was in Delphos, Ohio. 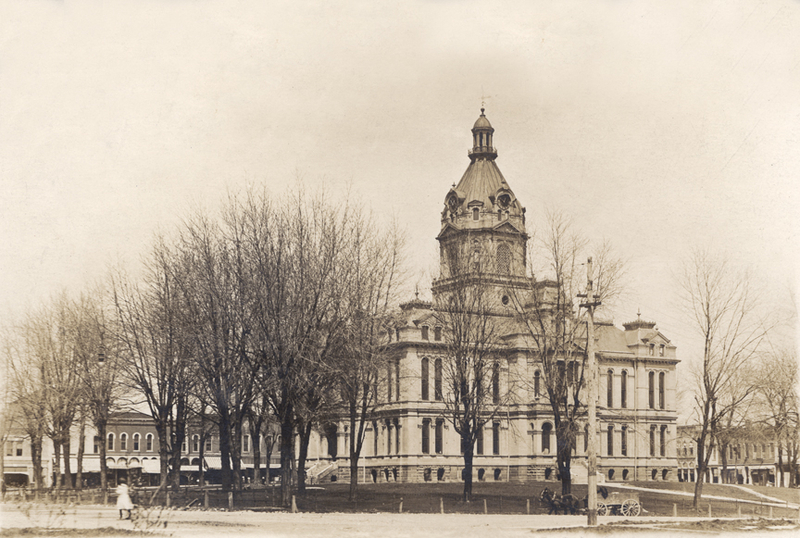 The Davis County Courthouse was not the only project of T.J. Tolan & Son in Iowa. 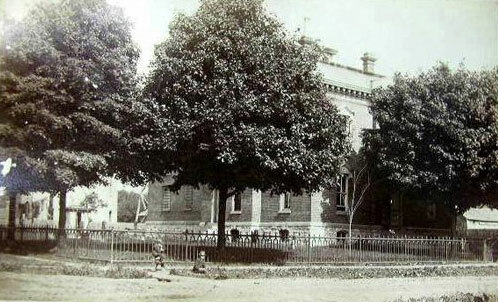 They also designed the Jasper County Sheriff’s Residence and Jail, in Newton, about 1878. 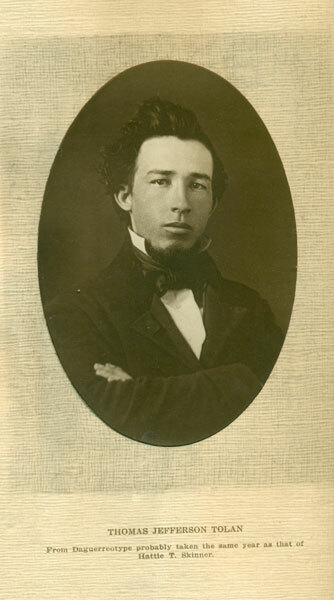 Brentwood S. Tolan continued the practice after his father’s death. 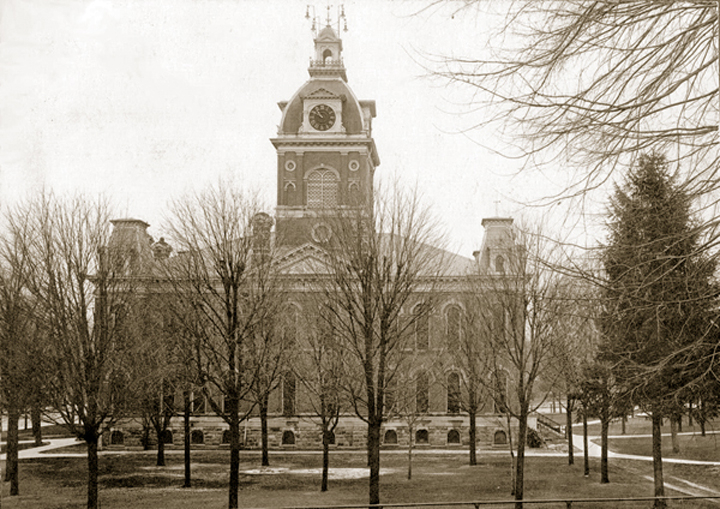 He completed the construction of the Kosciusko County Courthouse in Warsaw and followed it with the near twin-like Delaware County Courthouse in Muncie, Indiana. 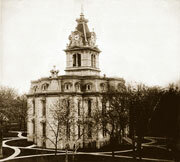 With the completion of the Whitley County courthouse, Brent’s work began to reflect the Richardsonian Romanesque style. 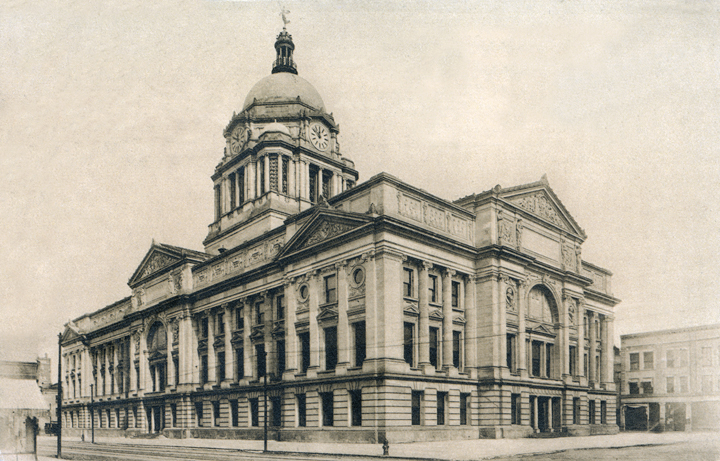 The Old National Bank building (now demolished) in Fort Wayne and the LaPorte (Indiana) County Courthouse are the two known buildings by him in this style. 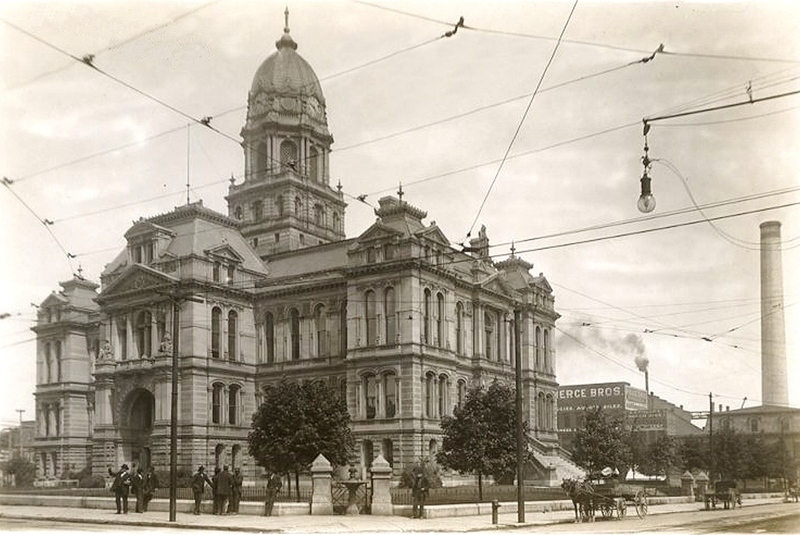 With the approach of a new century, the younger Tolan was awarded the contract for the new courthouse in Fort Wayne. 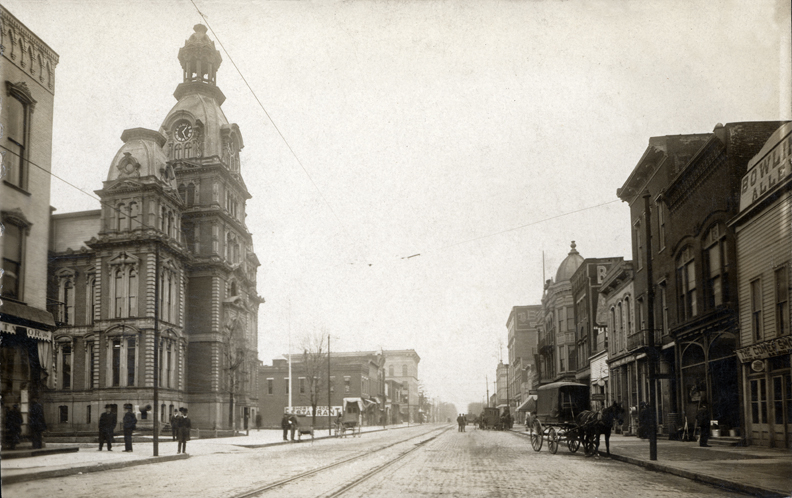 His Beaux-Arts style building would be hailed as a masterpiece and was named a National Historic Landmark in 2003. 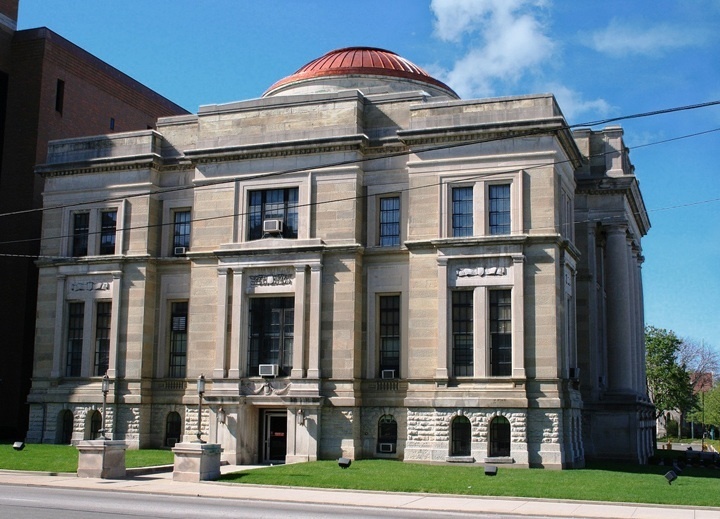 Brentwood Tolan ended his career in Lima, Ohio as a partner in the firm DeCurtin, Rawson, and Tolan, in Lima, Ohio. Tolan died on June 30, 1923. He is buried in Delphos, Ohio.